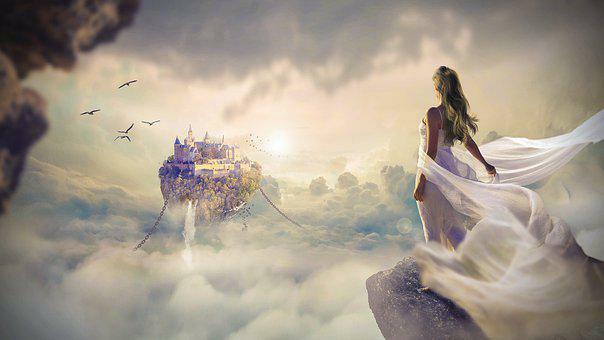 Realistic Saturn in Capricorn sextiles transcendent Neptune in Pisces today (9:21 a.m.), a dominant influence for 2019 and an aspect that will be repeated again in mid-June and early November, due to the retrograde cycle. Ideally, Saturn and Neptune teaming up together will help us to build (Saturn) upon our dreams (Neptune) in a more realistic or self-sustaining fashion. That, as a result of this odd couple pairing, we will learn to become more self-accepting (Neptune) of our limitations (Saturn) without freaking out, or feeling guilty, unworthy. That we will be more content with working with what we already have, instead of wishing things were otherwise. The phrase “start from where you are” comes to mind here, with this aspect. Also, about learning how to see the magic (Neptune) in our everyday lives (Saturn). Additionally, the Saturn-Neptune influence can potentially help us with curbing or arresting our addictions. It may also be a good time for involvement in a spiritual community or for incorporating practices into our daily life, such as meditation or prayer, that can help to make us feel more divinely centered, as well as more compassionate. We may also feel a greater desire to make our careers, or what we do in the outside world, more reflective of our spirituality, or inner life. It’s also an excellent period to get involved in causes that are meaningful to us and that allows us to give back. Lastly, this energy is very positive for developing our imagination or creativity. Hope you enjoy your day! Allow yourself to play among the clouds!